Last year, Chevrolet updated the Malibu midsize sedan with enhancements like a refined suspension, improved rear-seat roominess, and start-stop engine technology. 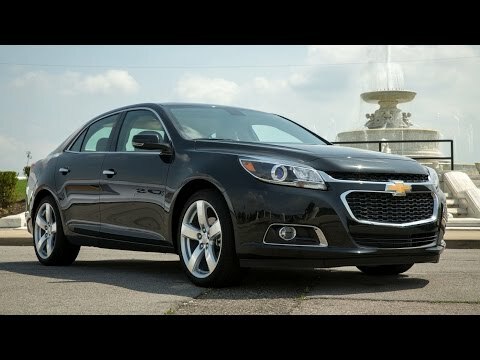 This year, GM adds 4G LTE connectivity to the 2015 Chevy Malibu, along with standard Wi-Fi hotspot technology. The combination - along with an OnStar subscription - turns the Malibu into a mobile Internet hub. Buy it for all of its amazing features, comfort, colors and reliability. I love my Malibu, the only issue with it is that the auto stop sometimes does not work, other than that it runs smooth, the seats are really comfortable. I have never had an issue with the car starting or running. When we go on long trips I never have to worry about having a sore back because the seats are the most comfortable out of all the cars that I have owned. The seats are made of a very soft leather and have lumbar support that seems making trips a breeze. I take the car in every three months to change the oil and at least once a year to rotate the tires this seems to help keep the car up and running and making it one of the most reliable cars on the market. It has a am/FM/CD player, Bluetooth, heat, air conditioning, it gets between twenty five-thirty highway miles to the gallon. It's a four door with seating for five people. Comes in ten amazing exterior colors and four interior colors. It has more airbags than any car that I have ever seen front, side back knee, ten in total, a security system, remote keyless entry, tracker system, brake assistant, abs and driveline traction control, four-wheel abs brakes, rear child safety locks, abs, manual adjustable front head restraints, standard transmission, powertrain, suspension handling, a great warranty. Power locks and power windows. I cannot say enough about my Chevy Malibu it is just one of the best cars that I have purchased.
. Chrome pig makes car very attractive. The appearance is what attracted me to my car. Even though I am 71 years old I still like the sporty look. The interior is large enough to comfortably seat 4 people and being a 4-door makes me the driver often. The ride is that of a larger car in that it handles well in all weather and reduces impact from pot holes with it is suspension system. The only real problem I have is getting in and out but this should be remedied when I have my hip replaced. The ceiling clearance is a little low for my six foot tall friend. The rear view camera is ok but I still find myself doing all the moves checking the old way. The temperature adjustment is nice but not as good as in my friends Cadillac. All in all I like my car and plan on driving out to Colorado next summer. I love all of the features of my Malibu! I love my Chevy Malibu! It is very roomy so I do not have to worry about moving my seat back and forth constantly to accommodate for my backseat passengers. It also drives very smoothly. My ltz model has the eco option that allows me to save gas when I am stopped at a stoplight. I get around 30 mpg too, which is great for how roomy the car is. My leather seats are extremely comfortable too. I also have automatic start which is a lifesaver in the winter. The on star app makes this feature even better! I can lock/unlock, start, and set my horn off from anywhere! The combination of all of these features and the performance of my Malibu definitely has made me a loyal Chevrolet customer.